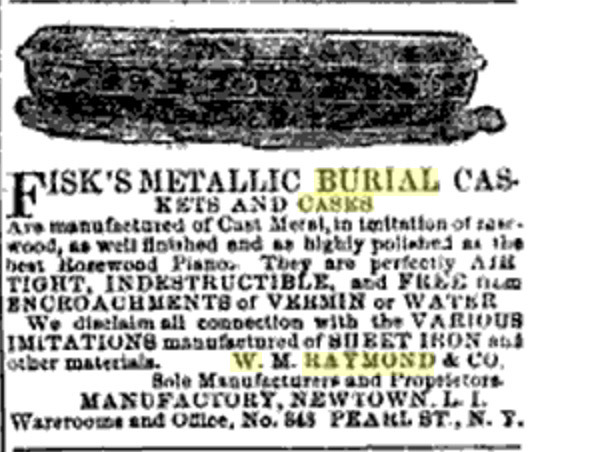 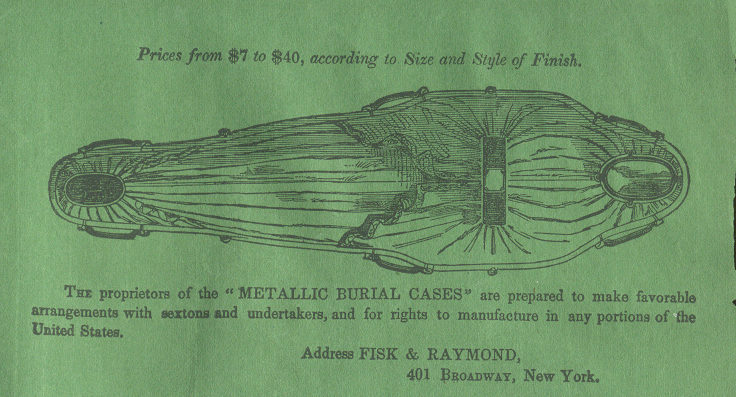 Born in 1825 in Charlton, New York, William Raymond took over his brother-in-law, Fisk’s, iron coffin business following his death. 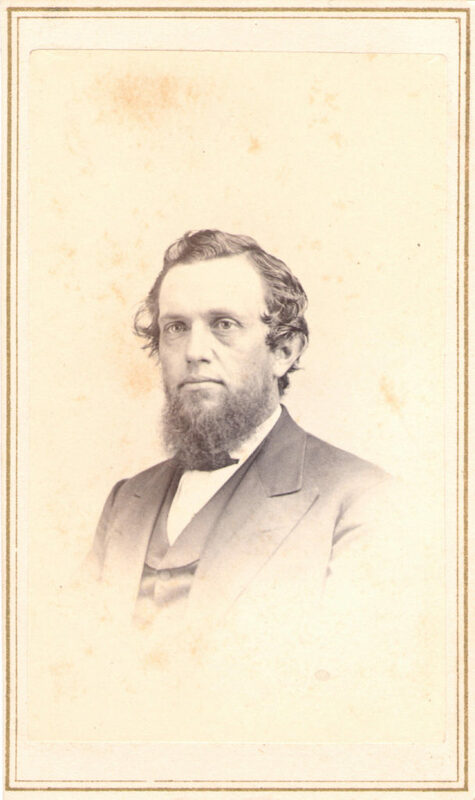 With the backing of wealthy family members and other business partners, William oversaw the day-to-day workings of the business for the next 27 years. 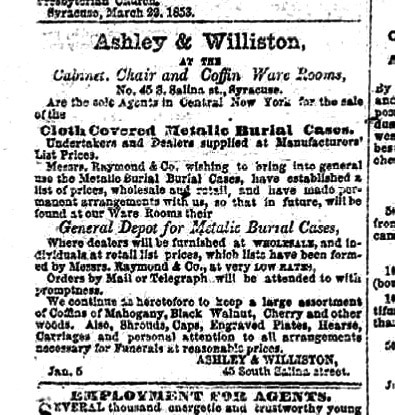 William died in Kensington, England in 1882 and is buried in Orange, New Jersey. 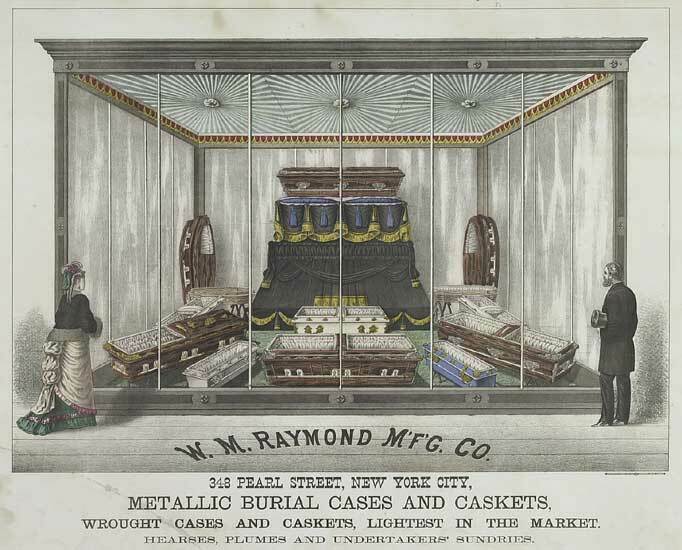 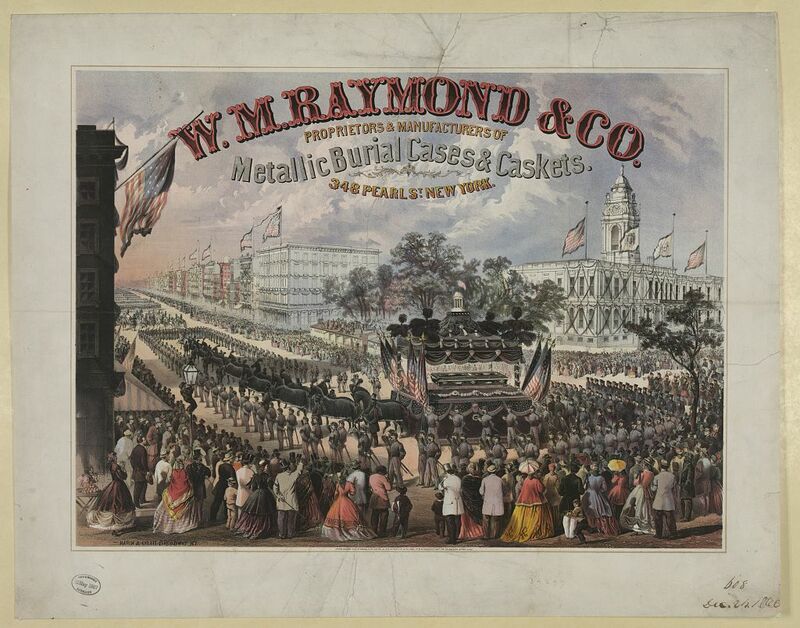 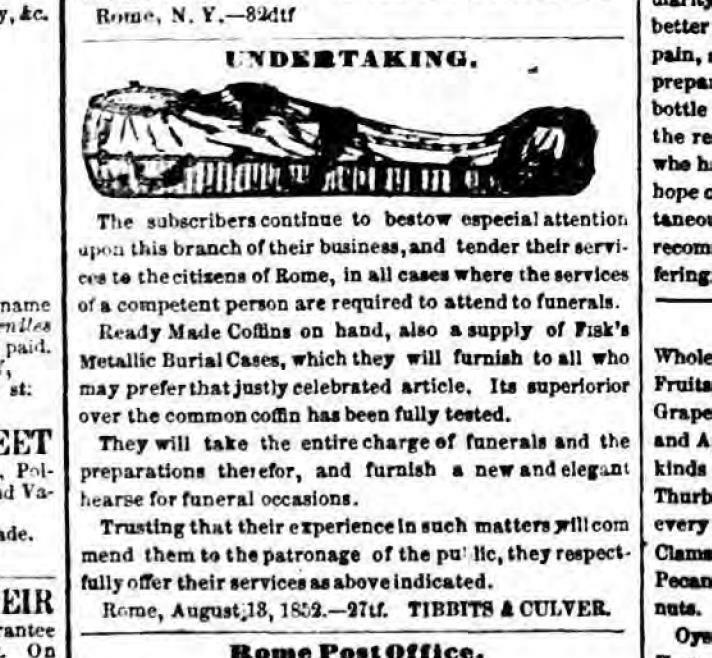 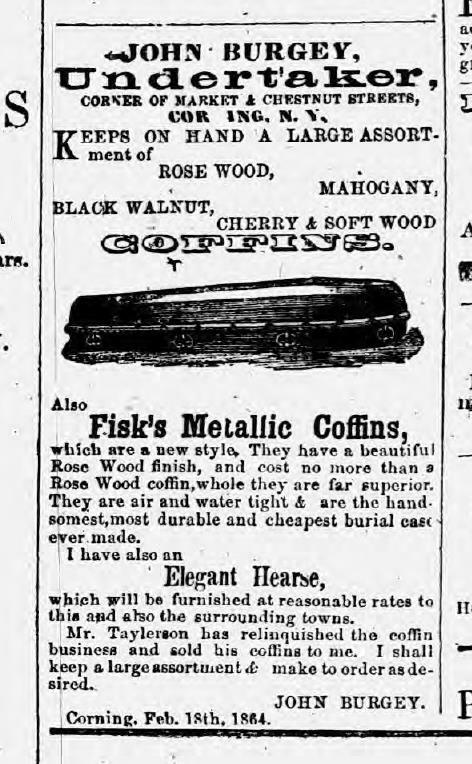 Mid–1870s lithograph showing a wide variety of coffin designs offered by W. M. Raymond Manufacturing.